Hello lovely friends…and happy weekend! Chelsea brings the issue of comparison right to the front of our thoughts. She talks not only about how it makes our husbands feel, but also how it makes us feel. With society the way it is and the media often casting a negative view of marriage, we can easily be caught up in the romanticized and unrealistic world. Chelsea doesn’t hold back but she gives us hope and ideas we can use to stop the cycle. Beautifully written, this is a must read for any married woman. Brittany once again gets real and honest with us moms and causes us to self reflect- something that can be hard, but needed. She talks about not wanting only a tidy and beautiful home, but a home where peace is the norm. She gives us practical advice on creating the peace that so easily escapes us as we hurry from one thing to the next. This post warmed my soul and made me just want to stop and enjoy the here and now. Julianna is sharing tips she learned on her own path to entrepreneurship to create that fine balance between being a mom and having a home business. I know I got some very valuable advice, even though I have worked from home for 2 years now. Sometimes we feel so alone and it can easily lead to burnout- either with your business or your family. I appreciated feeling heard and understood by someone who has been there before. I think you will too. Did you find a post this week that inspired you in some way? Share with us! How fun is this? This is a great post! I will have to check all of these out, I haven’t heard of any of them so it’s probably a great time to check them out! I really love this series, too! I took your advice about some blogging groups and it was spot on! I look for recipes and I found one that is amazing, an eggplant and tomato stack by An Italian in my Kitchen. Yum. I’m so glad Terri! Isn’t the community just amazing?! That recipe sounds delicious, I love eggplant! That’s a great way to showcase bloggers and show them how much you appreciate their posts. These are interesting topics as well. I’m sure a lot of people will learn from these posts! I love the fact that bloggers support and inspire each other. Post like you share here is really a nice introduction to other bloggers and their blog. Love the idea of yours to share LOVE. Thank you for the sweet words Rose! What an amazing idea Terryn! It is so nice and refreshing to see someone sharing inspirational posts especially nowadays where the internet is flooded with haters! Well done!! Oh, thank you so much sweet friend! I have been so inspired by so many bloggers and I just love it! This is such a great way to network and to support other bloggers. It’s so important to have a tribe that will support you and help you grow your brand. 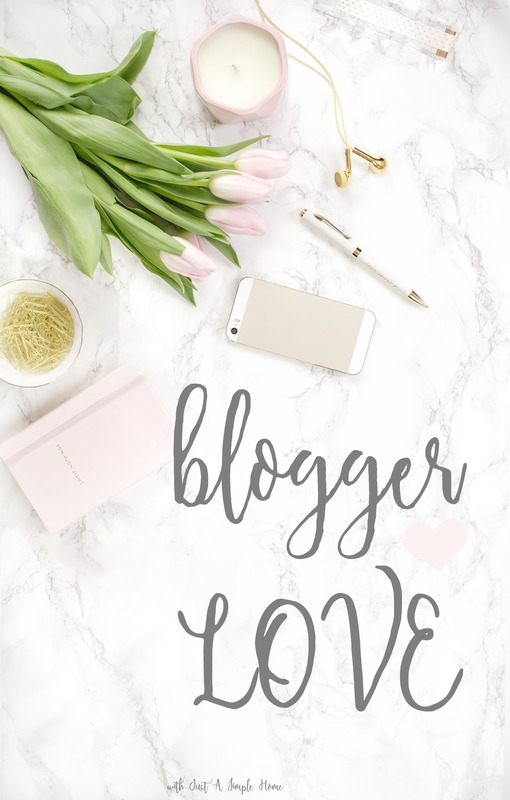 I love that you have had such a wonderful experience with other bloggers, it is so great to be surrounded by such an incredible community of people. I feel the same way and think that celebrating others success by sharing their posts is so so great of you to do, I really enjoyed the 9 tips to find balance post, thanks for sharing. Love these link roundups where you can find so many other wonderful bloggers. Thanks for sharing the love! I love the article about 3 ways to create a peaceful home during a tense season. How meaningful. This is such a fantastic new series! It’s definitely inspiring to read the uplifting words of other bloggers, as well as discover new bloggers.